Established digital health trends are already reshaping health care systems around the world in new and amazing ways. For example, the widespread adoption of mobile phones and the increasing usage of smartphones, combined with increasing Internet access and searchable online information services, have created what some call a doctor in every pocket. Even in rural Uganda, a patient can confirm her provider’s authenticity with a text message, and a community health worker can use Google to learn symptoms and treatments. But what’s next? What are the trends, now nascent, that will be driving digital health innovations in the next year(s)? At the OpenHIE Community Meeting this summer, I spoke with the a wide range of digital health practitioners working for governments, donors, and implementing partners. Through my conversations there and later, I’ve identified ten transformative digital health trends that will influence international development now and in the near future. Adele Waugaman of USAID pointed out that there is increasing support for global goods—open source digital health software solutions like DHIS 2, OpenMRS, and iHRIS that can be directly adopted by government health systems—and sustainable business models to support the global goods. Tim Wood of the Bill & Melinda Gates Foundation notes that we are at an inflection point where significant advances toward greater health, economic, and gender equity, and toward achieving the Sustainable Development Goals, will require greater coordination among donors that fund digital systems and the country governments where those systems are deployed. That’s why he helped develop the Principles of Donor Alignment for Digital Health to overcome the high degree of fragmentation, duplication, and lack of interoperability that characterize digital health systems in many low- and middle-income countries. So far, 30 organizations and agencies have endorsed the principles. 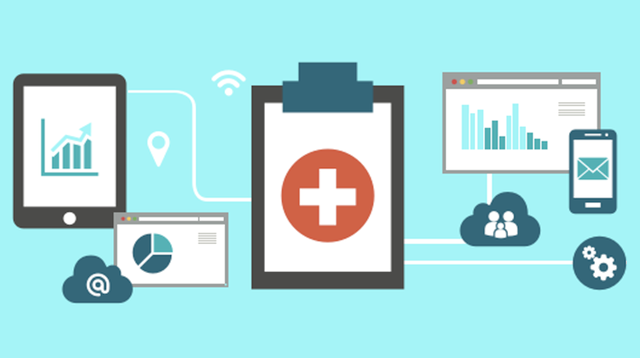 Government health systems are overloaded with digital health applications. When Johnathan Metzger of JSI presented on the state of interoperability, software development, and software utilization in Tanzania, he pointed out that the government of Tanzania's Digital Health Investment Roadmap research found over 120 software systems used in the health sector alone, with many bespoke solutions creating islands of isolated data sets, instead of extending existing systems and increasing interoperability. Now we've come a long way from 2010, when Uganda instituted an mHealth moratorium to stop digital health application proliferation. We have interoperability standards and digital principles to guide development, but there are still too many solutions cluttering up the digital health landscape. Dykki Settle of PATH said that we are starting to see increases in commercial software adoption by multiple ministries of health. For example, Tableau and PowerBI are dominating data visualizations and small hospitals are turning to commercial enterprise resource planning software for back-office automation. Mike Mulbah of the Liberian Ministry of Health spoke about governments putting government-managed software services, such as DHIS2 and master facility lists, in the cloud and buying software as a service from private-sector providers to realize the cost and sustainability gains of outsourced hosting. However, governments are concerned with allowing personally identifiable patient information to flow through Amazon Web Services and other international data centers. They are demanding that stringent data privacy and client confidentiality safeguards be in place before including patient data flows, as a normal part of cloud-hosted solutions. The HNSF is largely technology-agnostic and based on existing standards, such as HL7 and Integrating the Health Enterprise, to allow software systems to exchange data on specific health functions at scale. HNSF isn't prescriptive to internal software systems or licensing, it only cares about data exchange at interface points. Martin Osumba of RTI International mentioned that health information systems are becoming central to managing every aspect of health facilities, from clients to hospitals. Now it’s almost impossible to talk about health without talking about data, which means technology. This trend is forcing a professionalization of data analysis skills across the health ecosystem. Everyone from nurses to health ministers is upgrading their skills to understand data flows, and there is now an increasing need for a professional health informatics officer role, too. Karen Stegman of IntraHealth International reminded me of United States Global AIDS Coordinator Deborah Birx’s announcement in July that PEPFAR would direct at least 70% of its funding through local organizations by 2020, radically increasing local procurement targets to promote country ownership. This trend will accelerate the shift of digital health expertise into local organizations, and greatly expand opportunities for skilled project managers and software developers in the development sector. Combined with an overall decrease in donor funding, this trend means that the era of the expat technologist is coming to an end. Ambika Samarthya-Howard of Praekelt.org talks of the amazing results her team sees when using WhatsApp to communicate with MomConnect constituents. Although 99% of their users were SMS recipients, the 1% using WhatsApp produced over 50% of the traffic to the program, overwhelming Praekelt.org’s response system for their typical SMS campaigns. Of course, WhatsApp is just one of many over-the-top communication providers, along with Facebook Messenger, Viber, Skype, Line, and more. Each is upending the existing cost-per-call and local-versus-international call parigidim, making it possible to continuously connect with health workers and constituents—and instantly hear back from both. We don’t have all the answers. There are many more digital health trends that merit a mention, so the tenth spot is left open for you. Tweet @IntraHealth with your thoughts. A version of this article first appeared on ICTworks.